League One side Shrewsbury Town have signed Norwich City central midfielder Ben Godfrey on loan until January. Godfrey, 19, made six appearances for Norwich last season after signing from York City in January 2016. "Norwich know the manager here (Paul Hurst) is going to help me develop," he told Shrewsbury's club website. "A lot of players disappear in the 23s system, so for me to come out here, prove myself and try to make a name for myself, it's a good opportunity." 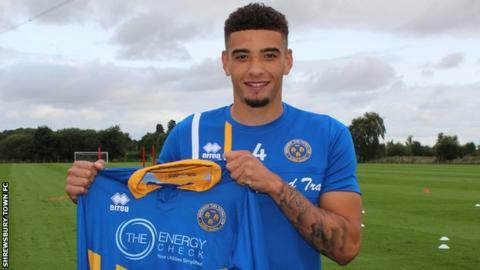 Godfrey, who can also play at centre-back and right-back, joins a Shrewsbury side that has won all three of their League One games so far this season.